Do you love music? Do you love movies? How would you like the ability to convert and download as many movies and music files as your hard drive can handle? It's all possible with the power of the SoundTaxi Media Suite! The SoundTaxi Media Suite is actually an all-in-one package featuring five different utilities that each contribute towards maximizing your media collection. With SoundTaxi Pro + VideoRip, you'll be able to easily convert any audio or video file to MP3, MPEG4, CD, iPod and other MP3 player file formats, regardless of DRM protection! 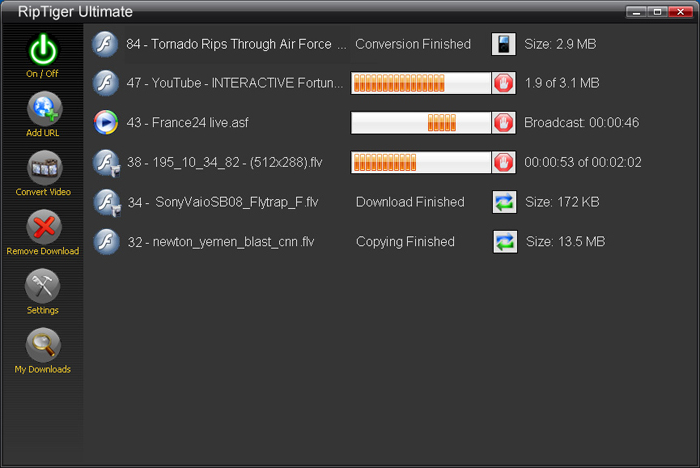 The SoundTaxi Web Video Downloader automatically captures, downloads, and converts video from the internet, including Flash video, Windows media, Real Audio and Real Video streams, MPEG, Quicktime, and streaming MP3 files. The SoundTaxi Music Downloader does the same thing as the Web Video Downloader, but for audio streams! 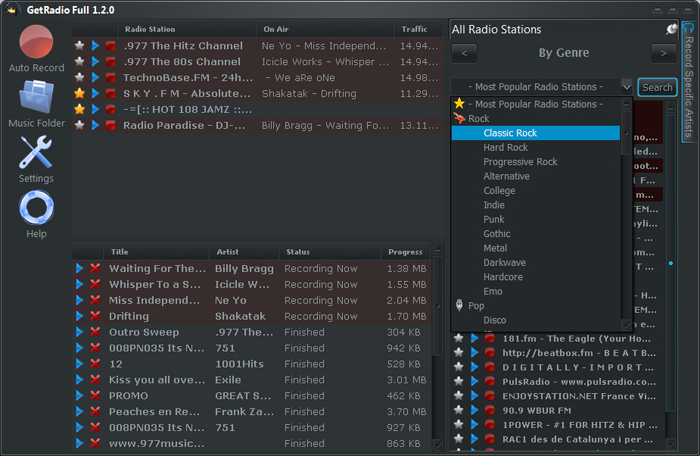 Now you can search for and download music, finding any song and downloading it in just two clicks of your mouse. Plus, with the thousands of internet radio stations out there, playing your favorite music 24/7 - you can use SoundTaxi Radio Recorder to automatically record, sort, and tag your favorite songs! Just set it, forget it, and come back to a glorious library of your favorite songs and artists. Finally, the SoundTaxi Media Suite offers you 1step DVDCopy, the easy way to make backup copies of your unprotected and protected DVD movies! Copying a DVD is as easy as pressing a single button, and the result is a complete duplicate of your movie in high quality output! Convert any audio or video file to different formats, regardless of DRM protection! Automatically capture, download, and format-convert videos from the internet. Search for and automatically download music from a variety of internet resources. Make backup copies of protected DVD movies in a single click. 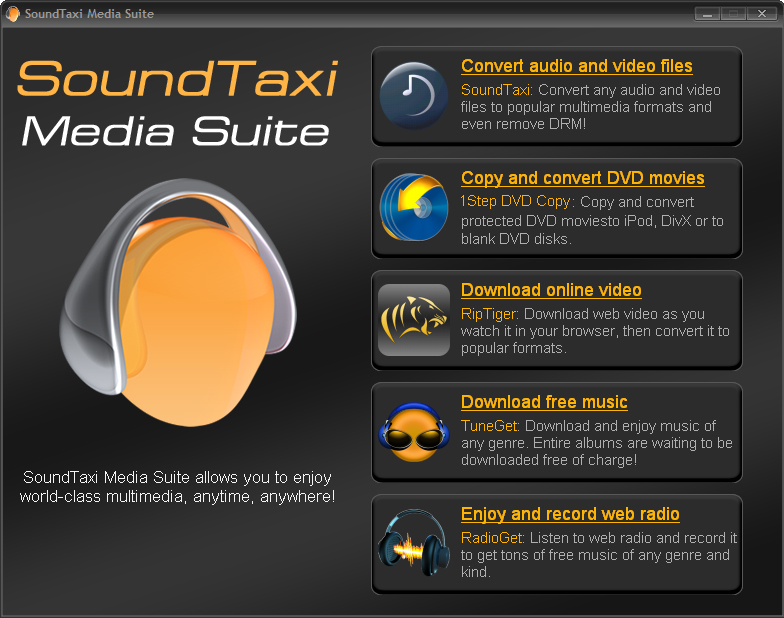 After you purchase SoundTaxi Media Suite it may be used indefinitely. SoundTaxi Media Suite is licensed per computer, and not per user.